Welcome to Day #4 of Chocolate and Nuts Theme Week. 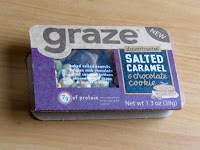 Today's Graze Deconstructed Salted Caramel and Chocolate Cookie offering from Nature Delivered Inc. (Jersey City, NJ) was an interesting snack mix. It contained a fair amount of salt and sugar (present in most snacks). For this reason, I hesitate calling this a healthy snack mix. 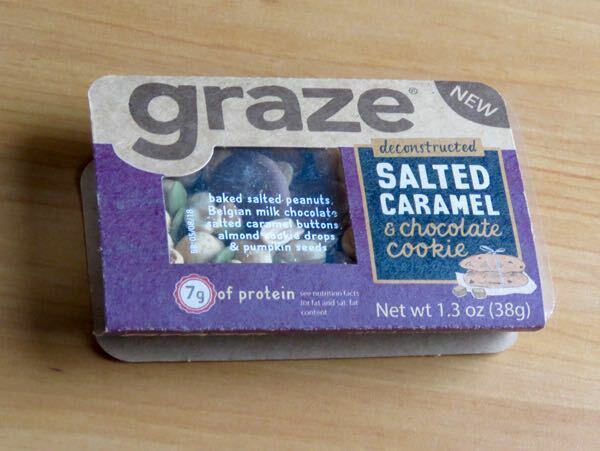 The mix included baked salted peanuts, Belgian milk chocolate buttons; salted caramel pieces, chocolate cookie pieces and pumpkin seeds; and it was free of gluten-containing ingredients.